Protect your home with TriStar Electric! In any average house today, you’ll found thousands of dollars worth of sensitive electronic appliances from computers to the lighting control system. When a storm hits, it’s important to ensure that your family and your possessions are protected from harm. At TriStar, we offer surge protection services so that you and your family can enjoy the comforts of home risk-free. TriStar is currently having a special offer: ½ Priced Home Surge Protection with every New Panel Upgrade OR $100 off Panel replacement. We’re slashing our prices in half because we understand just how important this service is to you and your family. A whole-house surge protection device allows only the electricity your home needs and stops any unruly over-voltages from entering your utility, protecting your devices and appliances from surges that may occur inside of the house. The protection we offer looks different from the surge protector power strips you might have in your home. Upon the first visit, we’ll examine your home’s main electrical panel and then recommend surge protection solutions based off of what we find. There isn’t a cookie cutter solution for every family, so we take a considerable amount of care when mapping out a plan. 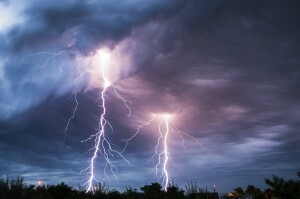 Once we’ve decided on the best surge protection for your home, we’ll schedule an installation date that works for you. Our electricians are expertly trained, and will ensure that your electronic possessions are protected from any potential harm that may occur due to a power surge. If you have more questions, please don’t hesitate to give us a call! If you have any questions about our process, please contact TriStar Electric, Maryland’s premier residential and commercial electrician, by calling 410-799-5791 or 301-384-8880. Or, you can fill out the contact form on our website. This entry was posted on Thursday, February 9th, 2017 at 4:52 pm. Both comments and pings are currently closed.